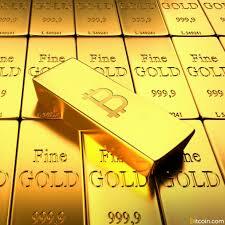 Bitcoin Gold (BTG) is a new cryptocurrency that separated from the bitcoin blockchain earlier today, and that has been rather controversial since it was first introduced. Recently, on Twitter, the project’s developer team stated that its website was under a “massive DDoS attack,” which managed to take it down. 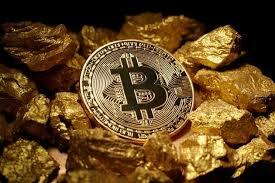 Bitcoin Gold, as bitcoin developer Jimmy Song explained, was introduced rather abruptly by China-based bitcoin miner Jack Liao. Its goal is to create an ASIC-resilient mining ecosystem wherein the gap between GPU/CPU mining and ASIC mining is smaller. As some have pointed out, however, similar alterations to Bitcoin’s protocol has been made in the past by altcoins that weren’t exactly successful. Following the hard fork, BTG now plans to distribute the cryptocurrency to anyone holding bitcoin when it occurred. Those who wish to keep track of the cryptocurrency’s problems have been unable to because of the attack on its website, as the blockchain is not yet public and there are no block explorers yet – information on BTG is now scarce. At press time, despite a tweet from the team stating the attack has been handled, CCN couldn’t access Bitcoin Gold’s website. Distributed Denial of Service (DDoS) attacks are fairly common against cryptocurrency projects, especially the controversial ones. Bitcoin Gold has been relatively controversial, as some pointed out that BTG uses a process that will privately create the cryptocurrency before its open-source and available to the public. On Github, it’s been pointed out that the developers allowed themselves a premining period with minimal difficulty, which led users to doubt the cryptocurrency’s development team. Moreover, Bitcoin Gold’s codebase is reportedly “not in a functional state” so much so that some exchanges, including Bittrex, refused to support the cryptocurrency and adding it to their platform. BTG’s team hasn’t added any more information on the attack, but in response to its tweet stating that the situation had been handled users decided to take a chance to ask about the “replay attack” risk, referring to the risk of transaction problems arising when two incompatible versions of bitcoin’s blockchain aren’t able to distinguish one another. Did you solve replay protection issues ?